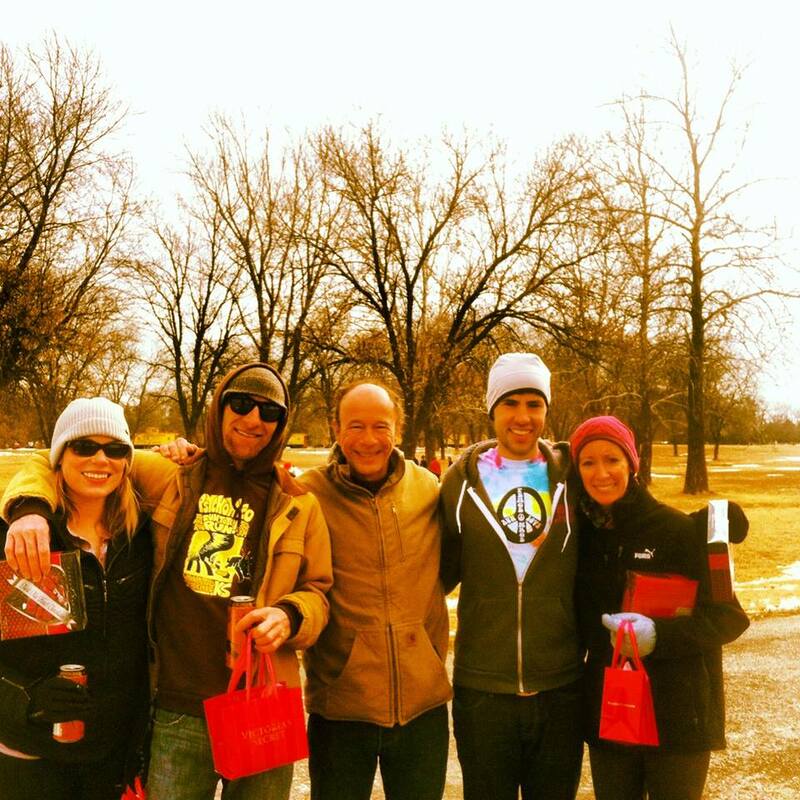 Close to 100 of you ready to get your lovin feelins on at the 6th annual Valentine’s Day 5K. Cold weather aside we expect to have a great time warming your hearts and soles! The race was launched in 2013 as the Two Rivers Twosome 10K. It was primarily a couples run but we also had a Centipede competition and Costume Contest. The first two years the race was sponsored by Victoria’s Secret. Putting the racy into the race! But Two Rivers State Recreation Area is a public (spelled f-a-m-i-l-y) park and we had to tighten up our (un)dress code to keep in good graces. We’ve always tried to make this a special run. The park is beautiful. The course is flat and fast. Closed road. Easy to pick your line. Perfect for first timers. Perfect for fast racers. Chocolates and wine for all entrants except the kiddos and we’ve got a special treat for them. This will be our first year to not hand out roses, they typically didn’t fare well through the morning and Linda has hand crafted participation awards in their stead. We are excited to be hosting the USATF Nebraska Association 5K Road Championships as part of the morning. Offering professional chip timing by run nebraska. Hot chocolate, home baked banana muffins, oatmeal chocolate chip cookies post race. Race day registration and packet pick up will open at 8:30 am at the Two Rivers Park Office. Dress warm and you’ll be fine. Our 2014 Winners were Pete Kostelnick & Tammy Consbruck (right) with Ivan Marsh and Carolyn Collier not far behind. Ivan will be going after his 11th consecutive Trek up the Tower title on February 17th. Pete made his own indelible mark in Nebraska running lore. This entry was posted in Uncategorized on February 8, 2018 by runguru.